Intel started off the new financial year with a bang by announcing the widest range of data-centric products in the history of the company. 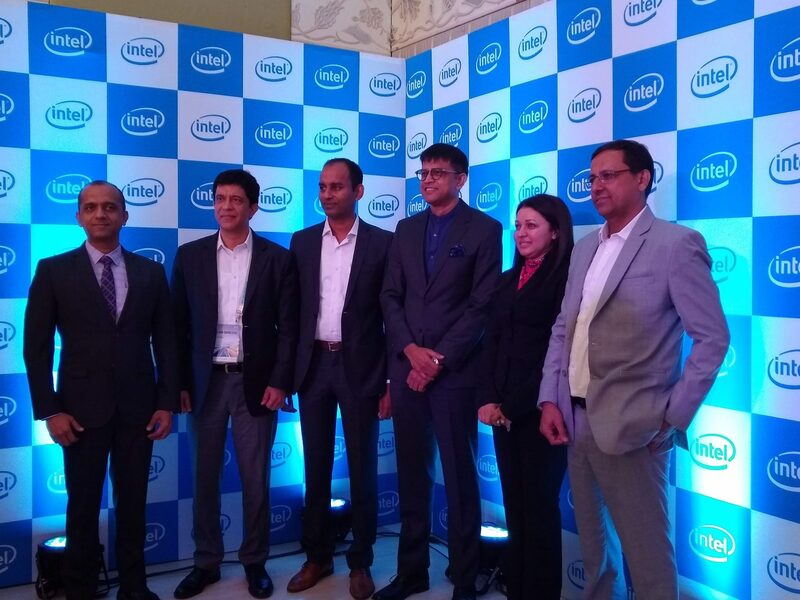 At an event held in Bengaluru on Wednesday, Prakash Mallya, vice president and managing director, Sales and Marketing Group for Intel India, told Analytics India Magazine that this range of solutions was specifically designed to help their customers extract more value from data. General availability of the 2nd-generation Intel Xeon Scalable processor optimised for customers’ most demanding processing requirements. The launch of more than 50 workload-optimised Intel Xeon processors, complemented by dozens of custom processors designed with deep engineering engagements. This includes a new 56-core, 12 memory channel Intel Xeon Platinum 9200 processor. New features in the 2nd-generation Intel Xeon Scalable processors like Intel Deep Learning Boost for AI deep learning inferencing acceleration and support for Intel Optane DC persistent memory. The launch of new Intel Agilex FPGAs, a new 10nm Intel FPGA that will deliver flexible hardware acceleration for the data-centric era. Mallya explained that Intel recognised the tremendous opportunity that India and our massive generation of data offered. He said that their data-centric strategy is closely aligned to growing demands across enterprises, government, cloud/SaaS players, communications service providers, start-ups and system integrators in the country. Explaining how these products by Intel had a strong foundation on “megatrends” observed in global markets, Mallya told AIM that they could be divided into three broad categories. Mallya said that as India continues on the path of massive data-driven disruption, Intel’s comprehensive product portfolio to move, store and process data from the intelligent edge to multi-cloud underscores their ability to drive innovation across sectors. Building on more than 20 years of data centre platforms and customer collaboration, Intel’s data centre solutions target server, network, storage, internet of things applications and workstations. In fact, the portfolio of products is just a step towards Intel’s data-centric strategy to pursue a $300 billion data-driven market opportunity. In India, early adopters of the new data-centric product portfolio include CtrlS, Wipro Limited and Zoho. Additionally, key hardware and software ecosystem players such as Acer, Cisco, Dell, Lenovo and SAP, among others, have market-ready solutions to enable customers to efficiently deploy Intel’s latest technologies and enhance performance across workloads.